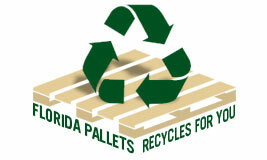 About AA Florida Pallets Inc.
Pallet Management Solutions that will save you money. Established in 2006 by the Acosta family, AA Florida Pallets, Inc is centrally located in the city of Medley near the Miami International Airport. We service Southeartern Florida tri-county area, Dade, Broward, and the Palm Beaches.We are an operated pallet company serving Dade, Broward and Palm Beach area. We have strived to earn our customers confidence thoughtout our our loyalty, hard work and services. In simple words, Our Mission is to work diligently and productive to every sale to achieve customer satisfaction. We strive to work hard and smart to keep our company name as one of the leading pallet company in the South Eastern Florida Area. We like to establish long term relationships with our customers that would cause both of our companies to grow and stay strong. We like to treat our employees in a proper, respectful and family manner in essence to keep them happy to produce a good product for our customers.